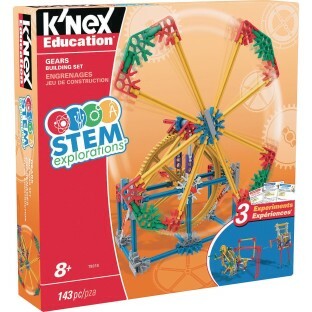 Prepare your child for the real world at an early age with the K’NEX® STEM Explorations Gears Building Set! 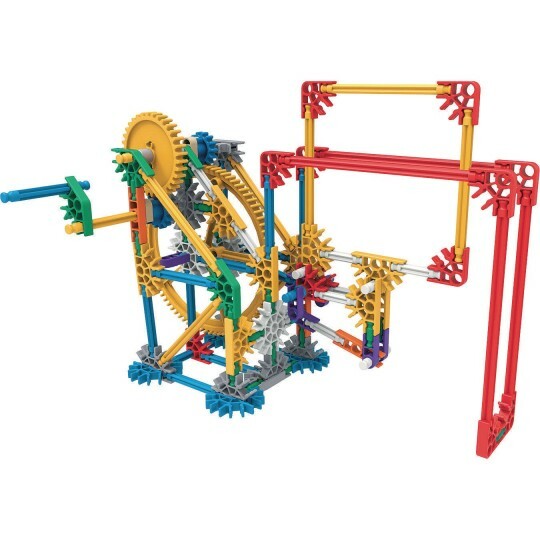 With the 143 assorted parts and pieces in this set, children can build three fully functioning, unique geared models such as a crank fan, an eggbeater, and a car window! 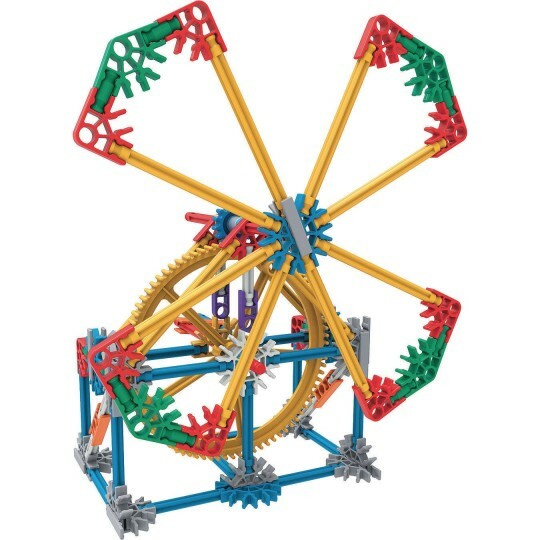 K'NEX® rods and connectors are plastic and made with a high-quality construction. Mix and match all of the parts and pieces and be amazed at what you can create with this building set. This engineering educational toy comes with a handy illustrated instruction manual to guide children through their building adventures. The sheet includes construction ideas and tips for students in order to help them create structures on their own. Parents and teachers can also guide their children through the manual until they get acquainted with it. This building set also includes three downloadable activity sheets to guide children through hands-on, inquiry-based experiments. 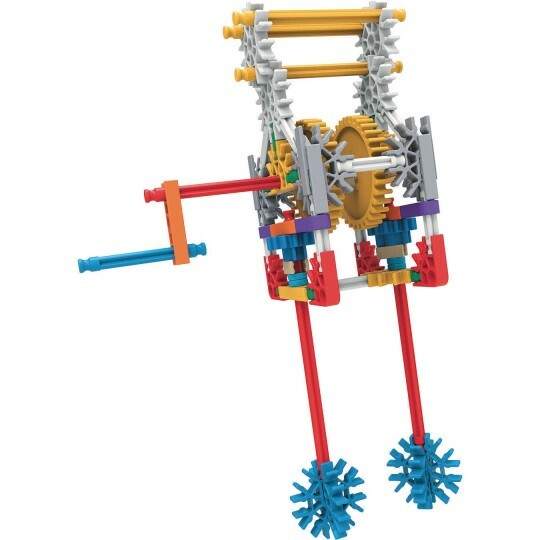 They will be introduced to concepts like gear configurations, gear ratios, rotational speed, mechanical advantage, and more! Studies reveal that students have more success learning STEM subjects through activities that are related to the real world than through reading about abstract concepts in textbooks. 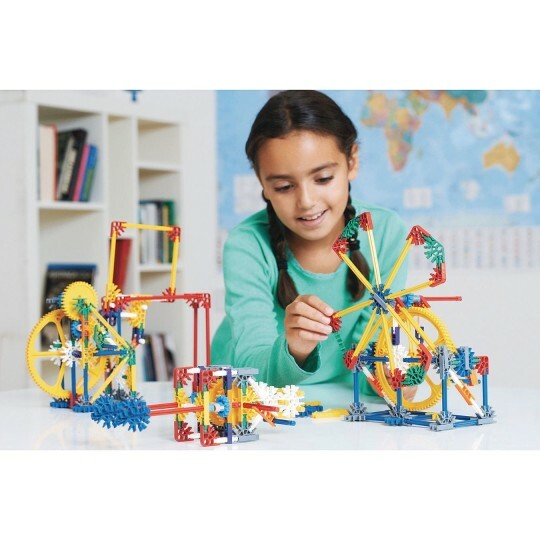 K'NEX® Education sets allow students to build replicas of real-world machines and gain a concrete understanding of the scientific principles that make them work. Promote your children's knowledge of STEAM (science, technology, engineering, arts, and math) concepts by igniting their natural curiosity and creativity. Building with K'NEX® puts children on the path to a fundamental understanding of STEAM subjects. 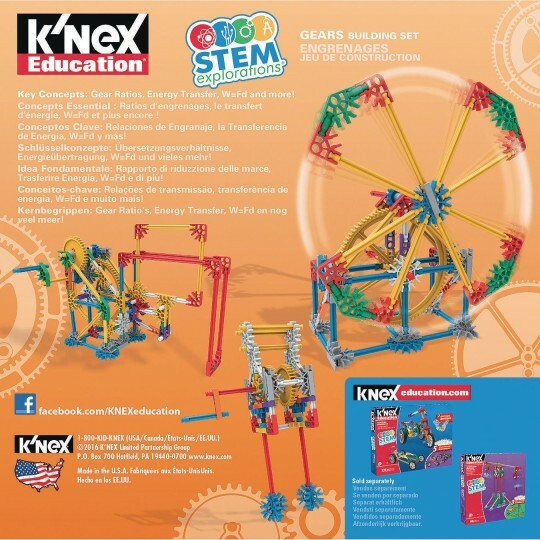 Let them design, construct, and customize their own K'NEX® Education Gears Building Set and enjoy hours of fun playing and learning. The included Experiment Guide is aligned to national STEM standards.